It's so hard to believe that Daisy has gone, that we will not see her any more, that I won't hear her call out "mummyyyyy!!!!!!!". She was the centre of our home. Everything revolved around Daisy, because she insisted it should. 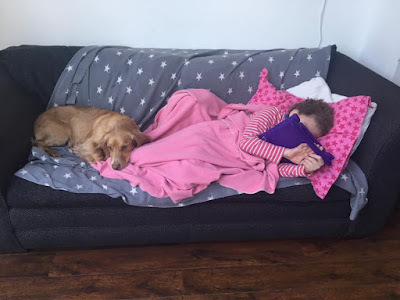 Her siblings were at her beck and call, in and out of her room, sorting out her ipad, responding to her demands, cuddling her, just being there. That's what Daisy liked more than anything, to know that we were there. She just needed to have us around. Over the past couple of months she had been spending more and more time in bed or lying on the sofa, with her ever present ipad, she liked to observe the domestic chaos of our home. And now this focal point has gone. And we wander in and out of her room like lost sheep. How can it be that in the space of less than fourteen months we have gone from a family of six to a family of four? The house is too quiet. The washing basket a testament to the reduced numbers. Daisy passed away on the intensive care ward at Great Ormond Street hospital. The team did everything they could but in the end it was Daisy's time and she was tired. She had been tired for a while. I knew it was coming. But even when the end came it was such a shock. We moved her to a lovely room the hospital has on it's intensive care wards. It's the room for the children who have passed away. There is no medical equipment, they have made it as homely as possible. In this room we shed our tears for our girl and kissed her goodbye away from the beeps and alarms in the main ward outside. The nurses washed her and thanks to our hospice team we then brought her home for one last time. She just wanted to come home. Our hospice at home nurse met the boys at home and got her room ready, setting up a cold blanket on her bed. Xanthe and I followed behind, bringing an empty wheelchair and a bag full of memories. The funeral directors who had dealt with Andy's funeral the previous January brought our girl home and she spent the night in her bed, surrounded by all of her favourite toys as we drifted in and out, each spending quiet time with her, stroking her face, hardly able to process the reality of what had just happened. The next day she was taken to her beloved hospice, ShootingStar-Chase, as we always knew she would. She stayed on her cold blanket and rested in one of the bedrooms as the special chilled bedroom was already occupied. This was a better option for us as we could sit in Daisy's room with her and in time allow some close friends to come and say their goodbyes. Xanthe and I chose her Princess Anna from Frozen dress to wear and my friend Sam brought a beautiful flower crown of fresh roses and eucalyptus. We sat with her smiling and laughing and remembering so many happy times. 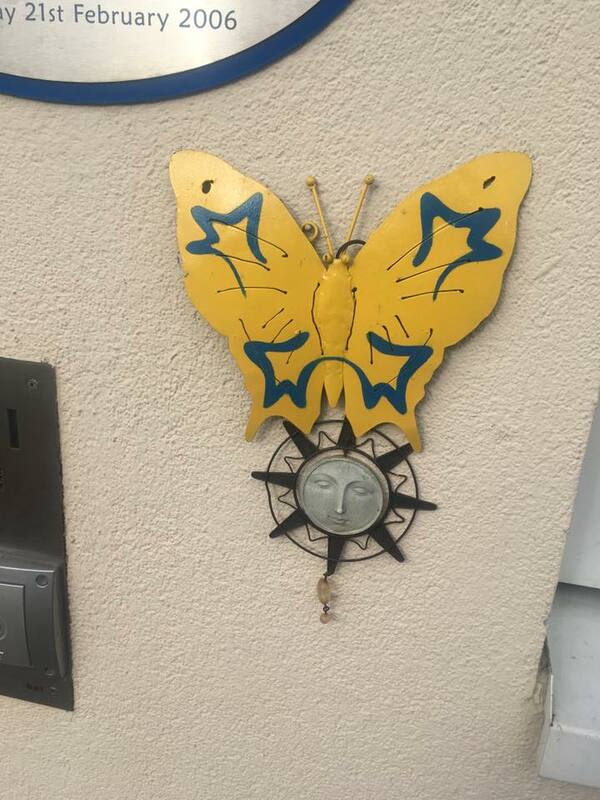 When a child dies and is resting at the hospice the team hang a butterfly outside the front door. For many years I visited and saw the butterfly, and then it was Daisy's turn. The hospice seemed so quiet without Daisy, without her pumps beeping or her constant presence checking what everyone else was up to. I stayed in one of the parent flats and being there cocooned me from the outside world and allowed me time to process what had happened. But I knew we had to face the reality so last Friday Daisy was moved to the funeral directors and tomorrow I will visit and tuck her in for the last time, surrounded by toys. On Wednesday we will take her to school for a final journey and hold her funeral there, it's only fitting that Daisy should do things differently after all. Her cremation will be held privately with just myself and the three children on a separate date. We had twelve wonderful years with Daisy, she taught us so much, it's time to let her go and say goodbye. We will do her proud.